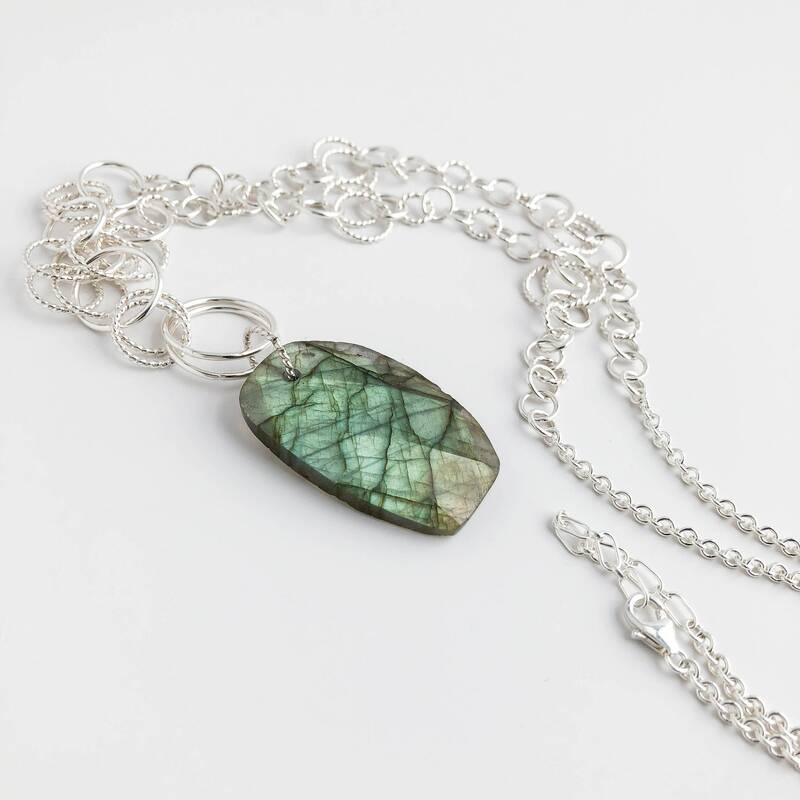 * The pendant drops a total of 3.4" long and the stone measures an inch across at the widest point. 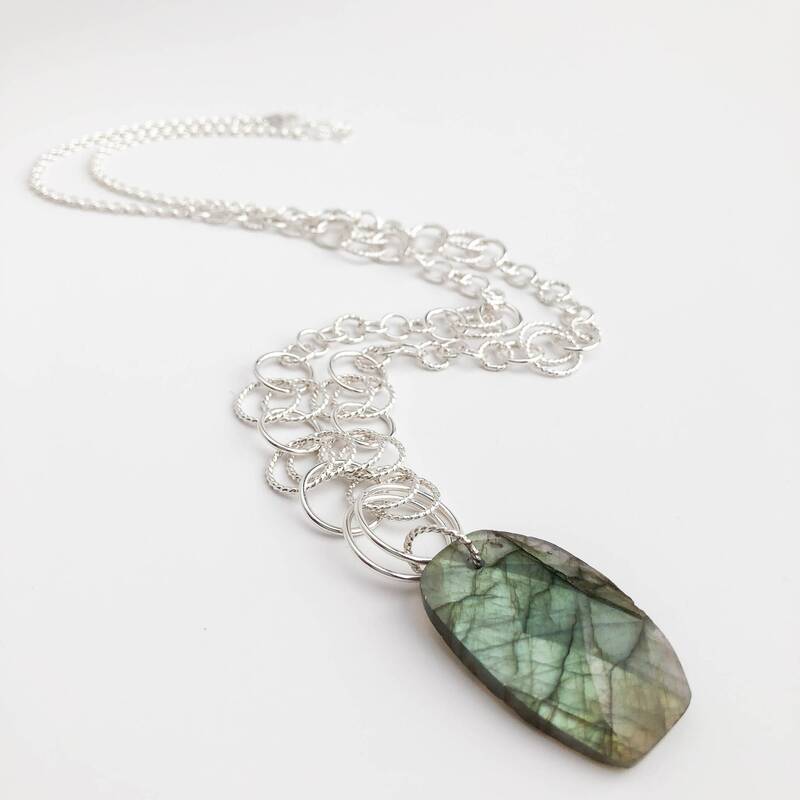 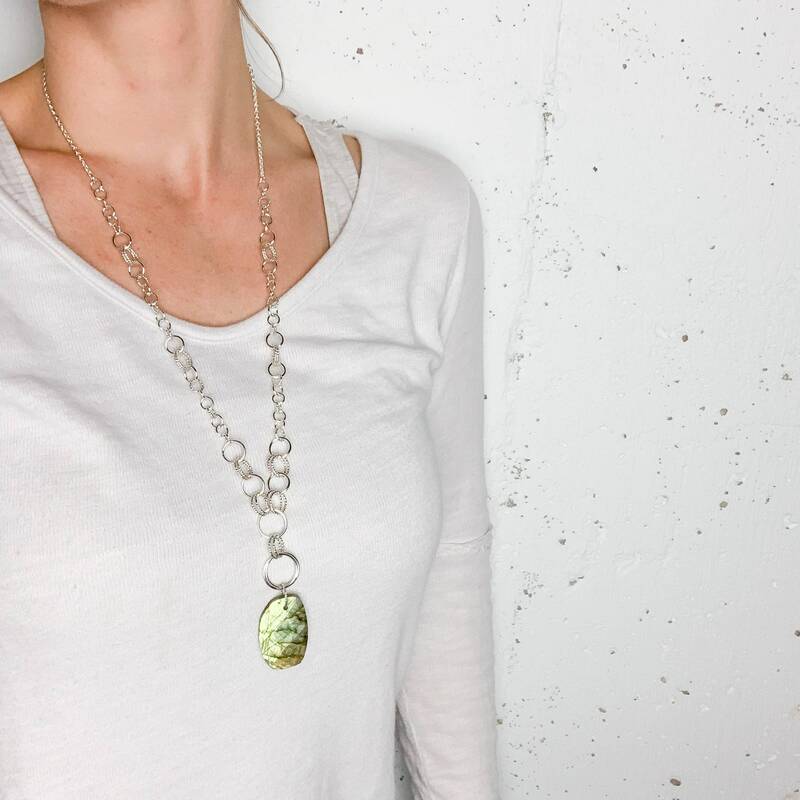 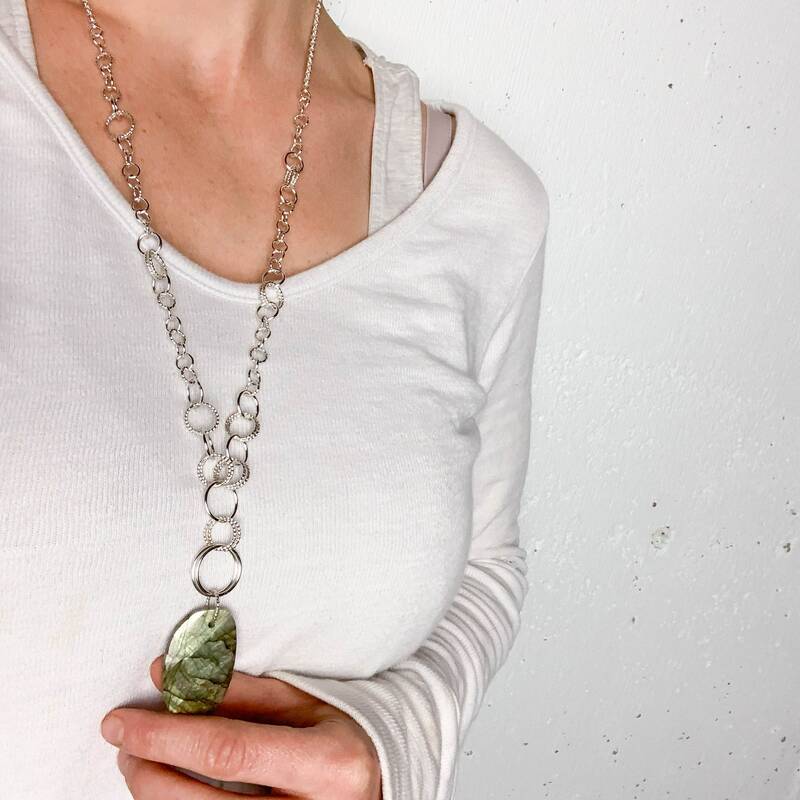 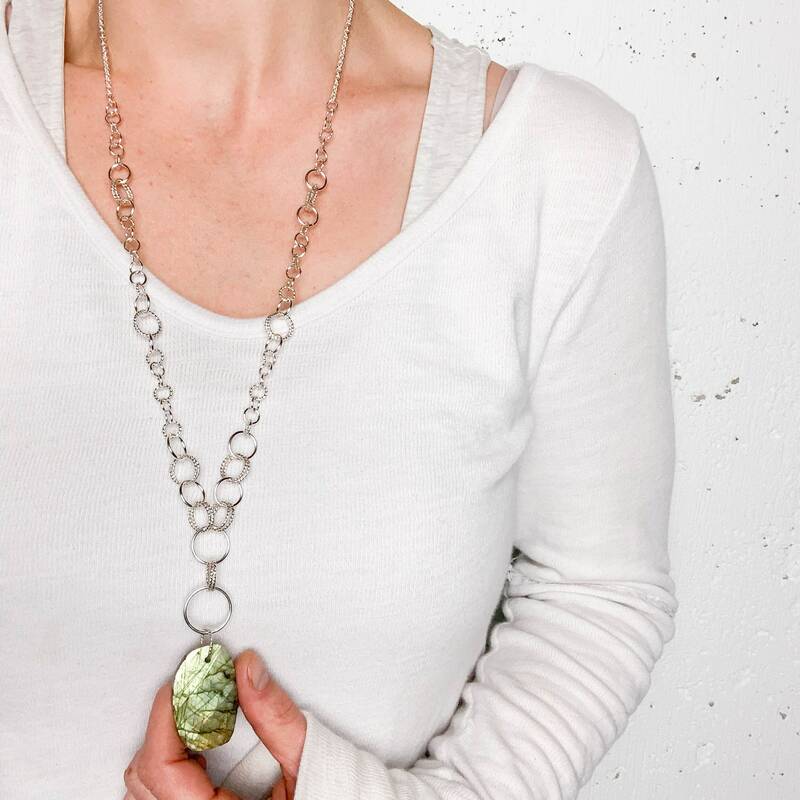 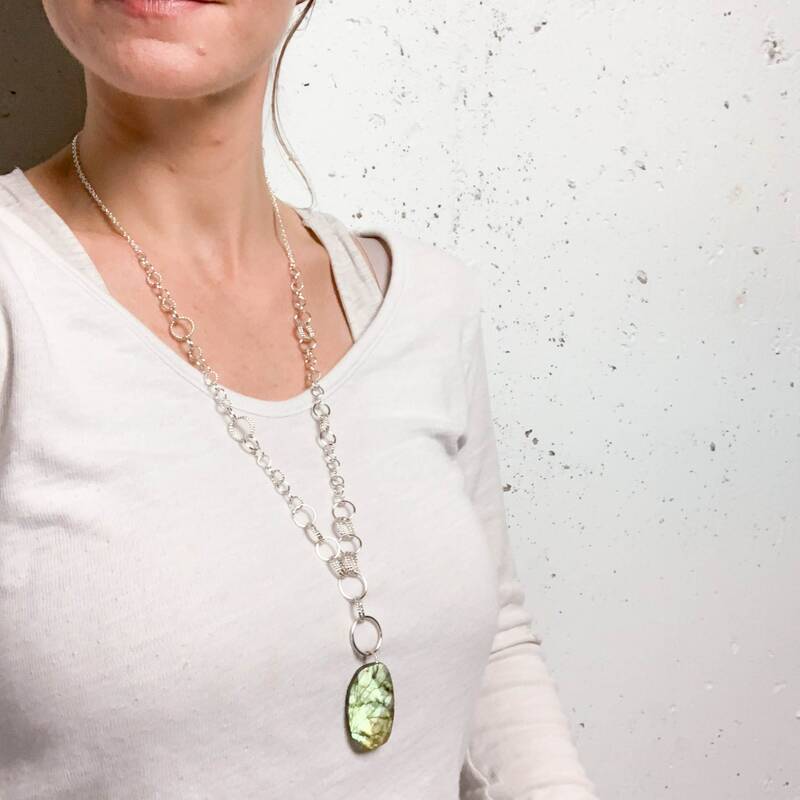 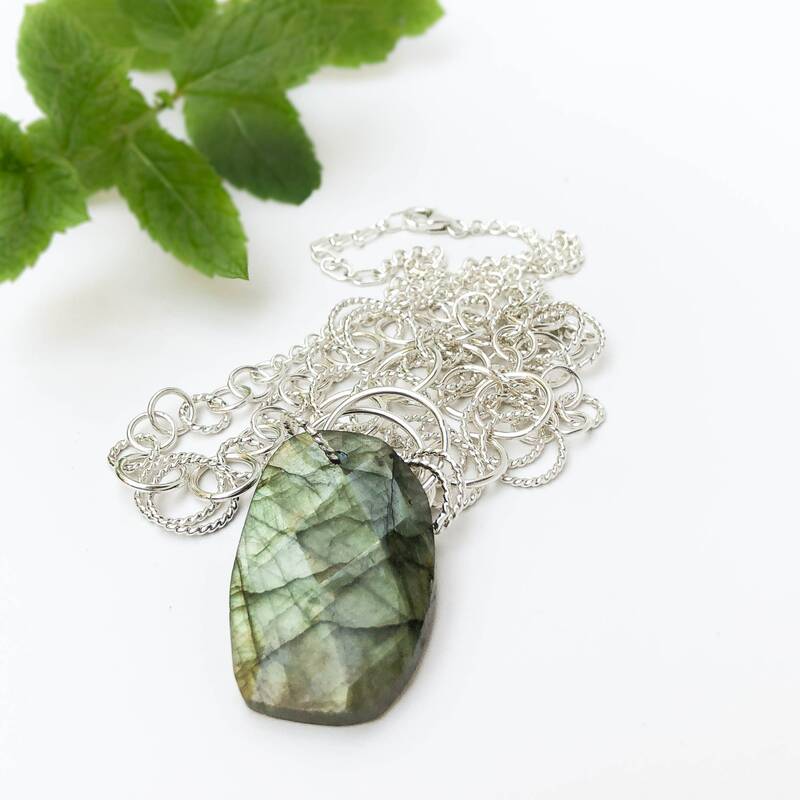 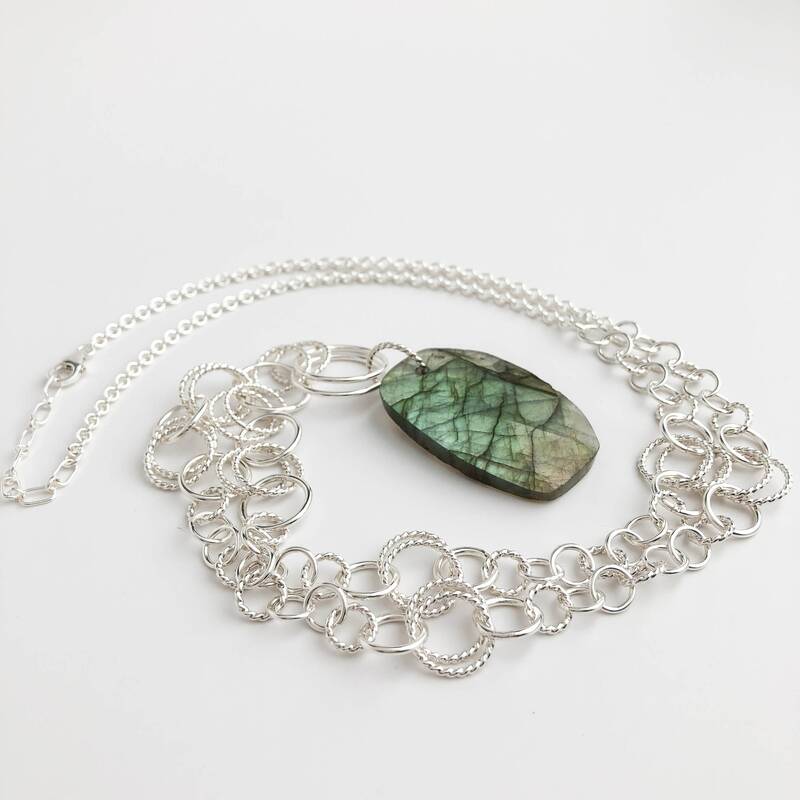 Handmade with a gorgeous natural chunk of flashy labradorite and solid sterling silver. 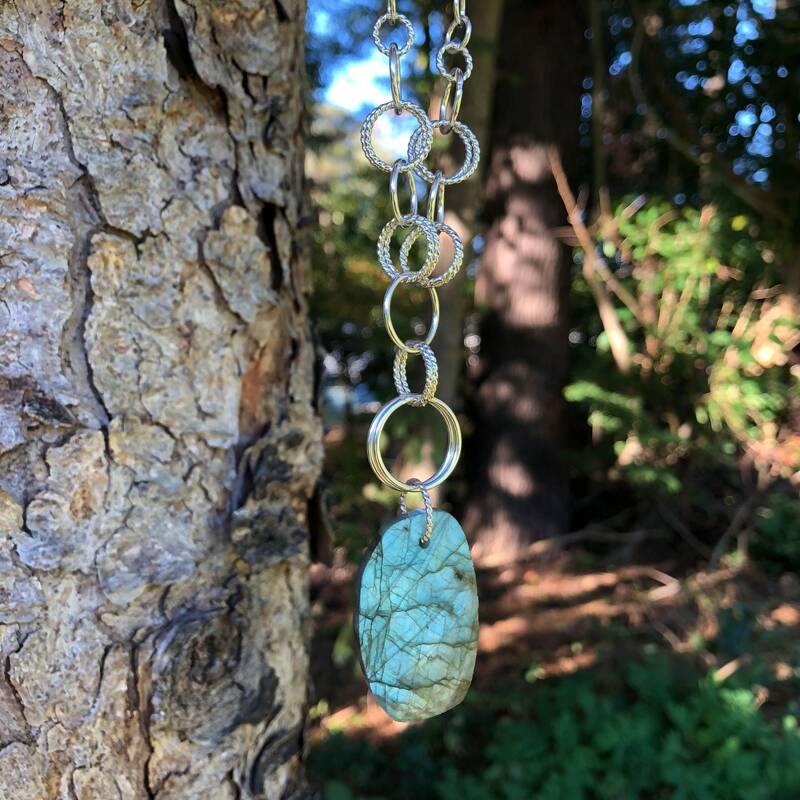 The chain was created by hand, link by link each one is securely welded shut and polished to a high shine to catch the light just right. 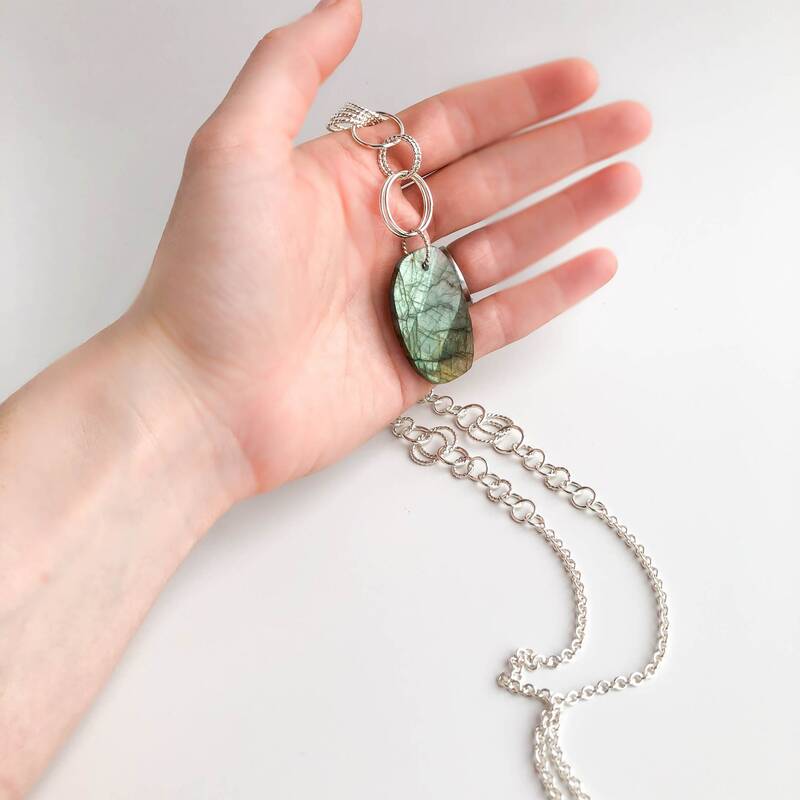 One of a kind and ready to ship!